"Make all children discover their hidden talents"
Since I started teaching music, my main goal is to make all of my students excited about learning and be proud and confident individuals. I have my B.M. in Music and I have performance experience with a variety of ensembles. Throughout my life I have accrued over 30 years of teaching experience. 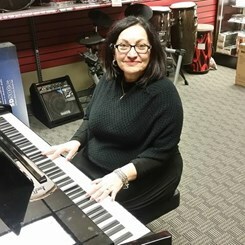 Request Lessons with Nellie today!